As our parents get older, it can be hard to watch them struggling with new medical challenges that affect their daily routines. However, with the proper care and resources available, elderly parents can live very fulfilling and healthy lives. There are many different senior living options available for parents, so no matter what your loved ones’ needs, you will be able to find something that works for them. Here are the different senior living options available for aging parents and the pros and cons of each. The first option that many people consider for their seniors is at-home care. This care option works well if your parent is still relatively comfortable at home and just needs some help with basic tasks throughout the day. At-home caregivers come in and help the seniors manage personal care, cook, clean, run errands, and keep seniors company. However, they don’t typically provide as many services as care facilities. Senior apartment complexes are great options for seniors who are still independent and can handle things on their own, but could benefit from living in a community of other seniors. These living options typically offer resources and activities for seniors and are designed to be very comfortable for older adults. However, there is no medical care, daily assistance, or supervision on site. Many senior apartments are now pet friendly, so they are a great choice for seniors who want to stay with their furry companions. Assisted living is designed for seniors who don’t yet need full daily medical care, but need help with their basic daily activities. For example, these facilities provide help with things like dressing, bathing, and grooming daily, and they also provide meals, cleaning, and laundry services. Assisted living complexes are comfortable and secure senior apartments with caregiver assistance on site. These complexes usually provide a variety of enriching activities to keep seniors occupied throughout the day, and while they don’t provide medical care, they can work with doctors to keep seniors healthy using proactive measures. Private assisted living facilities, often called board and care facilities, are small assisted living home set up in residential neighborhoods. The caregivers typically live on site, and there’s usually less than 10 residents in the facility. These facilities provide seniors with a comfortable place to stay, three meals a day, and help with personal care and cleaning as necessary. They do not provide medical care. These residential facilities are excellent for seniors who need some help throughout the day, but still like the cozy atmosphere of home. These assisted living facilities are relatively flexible with care, but may not have the same range of amenities that larger facilities do. Many seniors experience dementia as they get older and need specialized care to manage the symptoms. Memory care facilities provide similar services to assisted living, but they are specifically designed for patients with memory care challenges. Caregivers are specially trained to handle dementia episodes, and the facilities are constructed to be very secure without being confusing. Some Alzheimer’s care facilities provide medical care, while others only focus on daily assistance for dementia patients. If your loved one needs regular medical care and monitoring, skilled nursing facilities are usually the best option. In these facilities, seniors get the same support they would get in assisted living, but they also have certified medical practitioners monitoring them around the clock to ensure they get the care they need. Typically, your doctor will let you know when skilled nursing care becomes necessary. CCRCs are the most comprehensive form of senior care available. These facilities have multiple levels of care on site, and they typically offer a range of luxury amenities as well. Residents sign a contract and pay an entrance fee and then receive whatever care they need, either for the rest of their lives or for a certain number of years. Although these facilities are usually very expensive, they make long term senior care much easier and more convenient. They are also ideal for senior couples, because they can both receive the care they need without being separated. 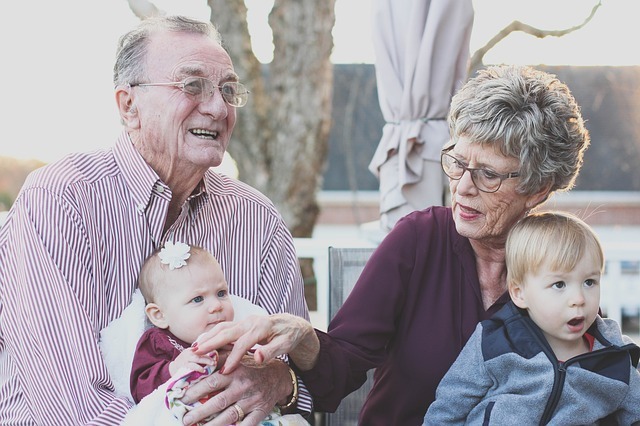 There is quite an extensive range of senior care options available for aging parents, so there are options to address whatever needs you may have. Consult with your parents as well as their doctors to develop a plan for senior care and housing before you start looking for a nearby assisted living facility. You’ll need to make sure your loved one’s health needs are addressed and that they are comfortable and feel safe in their living situation. Having the appropriate care available can make all the difference when it comes to living a long, healthy life.